Hey all! We’ve had a productive week with several interim CEOs finding a lot of bugs and consequently us solving a lot of those bugs. But before we go any longer, we will not announce any release date today. This is due to the previous mentioned reasons and the overall outlook has not changed, we are making significant process and are testing and resolving issues related to major systems as well as minor quality fixes. Refer to the path notes list below for the exact details. We’ve cycled many versions of the build since the previous week and are right now running Alpha Version 0.19.6. 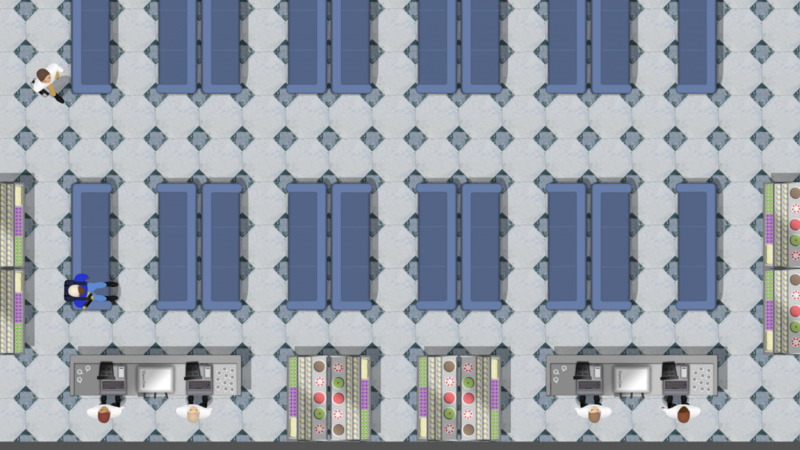 The screens we posted the previous week received some criticism for looking bland and questions were raised regarding if something had changed in relation to the overall art style. 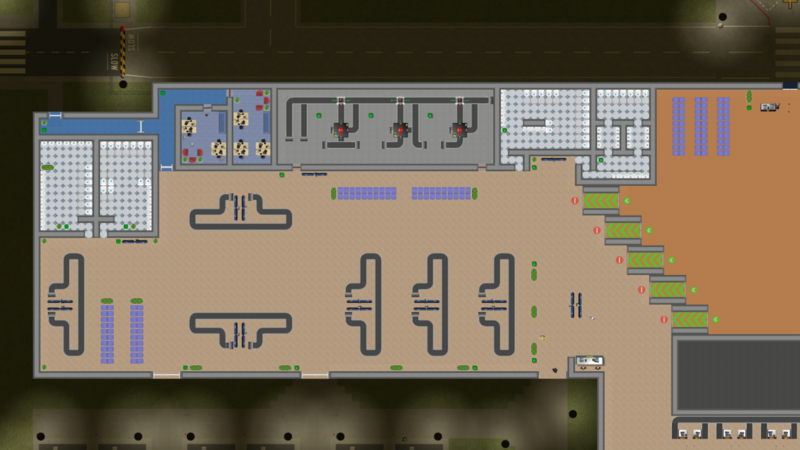 The reason for this was that the testers in those screens were looking to build larger airports and pushing the game engine to see where it would hurt. This was not clearly communicated by us and to scratch that itch we’re now supplying you with some shots from another interim CEO’s airport which had a much larger focus on constructing something that would look nice. 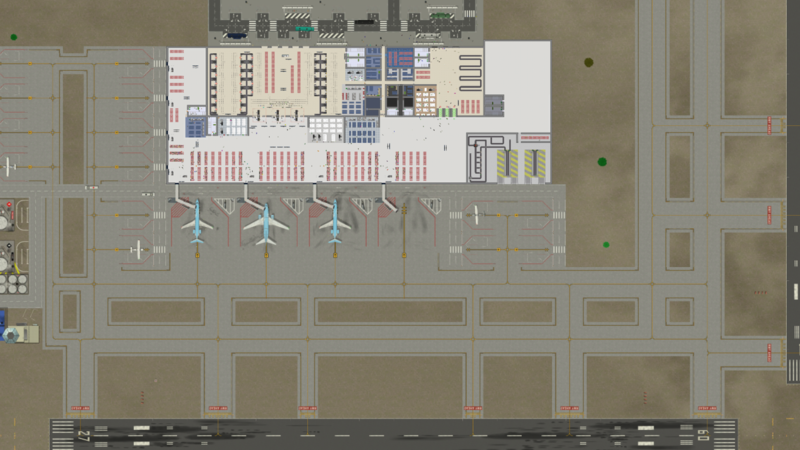 This week we have also implemented a completely new panel know as the “Manuals” panel which will act as an instruction hand book and task list for any aspiring CEO to reference as they are creating their first airports. While this indeed is new functionality, its purpose is to mitigate construction confusion and flattening the learning curve. We’re going to keep it short here and get back to the code. 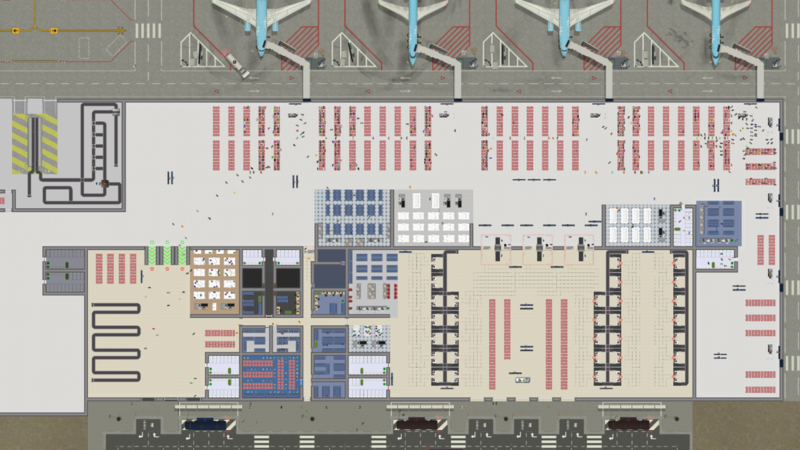 We’re currently in the process of testing the baggage system, as it was pulled back due to construction confusion (which should be mitigated with some important gameplay changes and the implementation of the Manuals panel) and will let the interim CEO’s get their hands on it this week. This is the last significant quality testing hurdle we have to overcome and the last component that we expect to generate any critical bug reports this week. Thank you for still staying with us and realizing that these efforts are put in place to deliver a more qualitative and playable game. Fly safe!